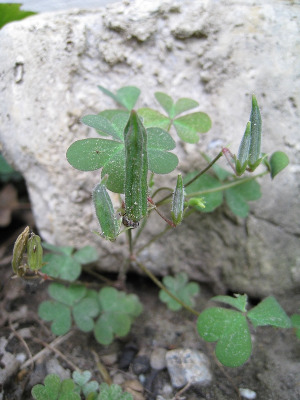 Native in southern Europe, but spread as a weed elsewhere. Apparently scarce in Michigan, unlike O. dillenii and O. stricta, but local in lawns and gardens (also in greenhouses). First collected in 1892 in Gratiot and Ingham Cos.
MICHIGAN FLORA ONLINE. A. A. Reznicek, E. G. Voss, & B. S. Walters. February 2011. University of Michigan. Web. 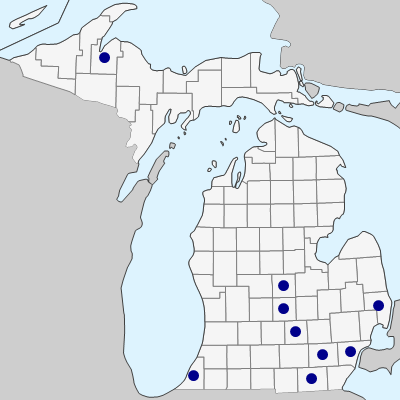 April 21, 2019. https://michiganflora.net/species.aspx?id=1878.